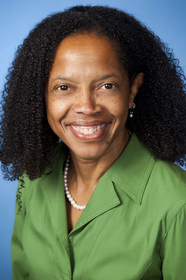 Dr. Gilda Barabino, new dean of CCNY's Grove School of Engineering. Dr. Tony Liss, Martin and Michele Cohen Dean of Science at CCNY. "These two superb additions each bring to City College scholastic excellence, management expertise and research accomplishments," said Provost Maurizio Trevisan in announcing the appointments. "They join us at a time of unprecedented growth, and their leadership will play a crucial role in the development of the new City College Center for Innovation and Discovery, scheduled to open next year on our South Campus." Dr. Barabino, the new dean of the Grove School of Engineering, was associate chair for graduate studies and professor in the Wallace H. Coulter Department of Biomedical Engineering at Georgia Tech and Emory University. She joined the department in 2007 after an 18-year career at Northeastern University, where she rose to the rank of professor of chemical engineering and served as the vice provost for undergraduate education. She served as Georgia Tech's first vice provost for academic diversity in 2008 and 2009. Dr. Barabino has an extensive record of leadership and service in the chemical and biomedical engineering communities and currently serves as president of the Biomedical Engineering Society. She is a fellow of the American Association for the Advancement of Science, the American Institute for Medical and Biological Engineering and the Biomedical Engineering Society. Dr. Barabino's key research areas include sickle cell disease, cellular and tissue engineering and diversity in science and engineering. She received her BS from Xavier University of Louisiana and her PhD at Rice University. 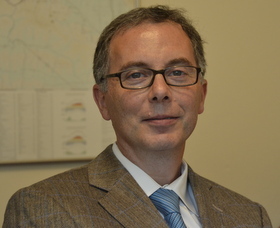 Dr. Tony Liss has been named the first Martin and Michele Cohen Dean of Science and will join City College October 15. He currently is professor of physics at University of Illinois at Urbana-Champaign, where he has been a faculty member since 1988. In addition, he is a Provost Fellow there working on faculty development and promotion and tenure issues. Dr. Liss' research in high-energy physics has taken place at the world's highest energy accelerators, including the Large Hadron Collider at CERN and the Tevatron Collider at Fermilab. He has led groundbreaking research that has resulted in the discovery of new fundamental particles, among them the top quark. As physics coordinator of the CDF Collaboration at Fermilab, he was responsible for overseeing the work of hundreds of physicists on a myriad of different topics. Set on a striking, 35-acre hilltop campus in upper Manhattan, CCNY has produced more Nobel laureates than any other public institution in the United States. The College has been touted as one of America's Top Colleges by Forbes, one of the Best Colleges in the United States as well as one of the Best Value Colleges by the Princeton Review, and ranks among U.S. News' top regional universities.